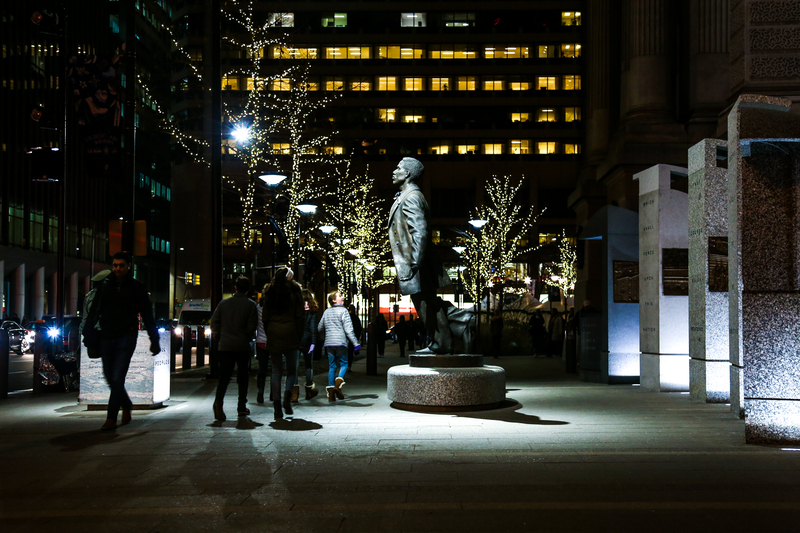 Shout out to whoever got the City to light up Philly’s new Octavius Catto monument at night like the king he was! 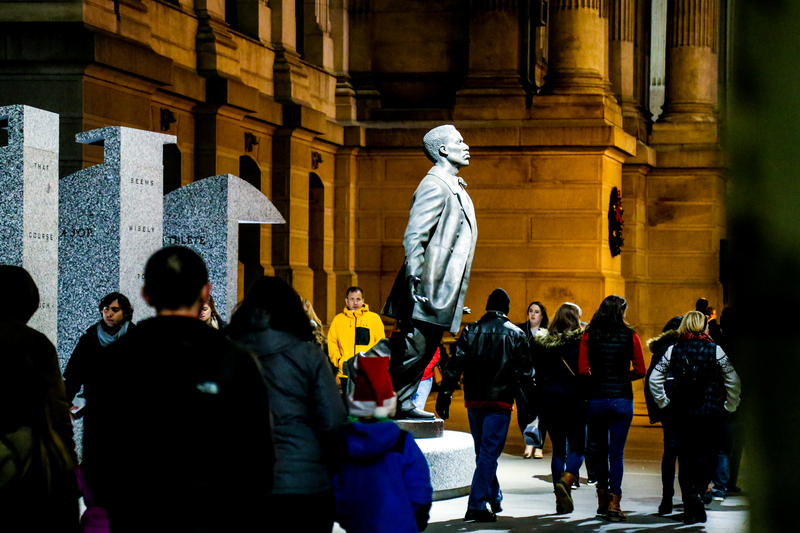 While there are a small handful of monuments to historical American American individuals around Philadelphia on privately owned land, Catto’s new monument, installed this past fall, became Philadelphia’s first monument to an historic African American individual on public land anywhere in the city. See the brilliant new monument for yourself on the south apron of City Hall, and read more about Catto and how this monument came to be in this Philly.com piece by Stephan Salisbury!